With the Multi Pass holiday card you can do more than 60 activities as often as you like in the Portes du Soleil’s 12 village-resorts. Choose your accommodation or your activity for your holiday in the mountains! * Multi Pass offer valid from 15 June to 8 September 2019, subject to activity providers’ participation, availability, opening times and dates, in line with current terms and conditions. Price per person and per day of your holiday when staying with a participating accommodation provider. A hands-free card must be purchased in addition which is non-refundable, price 1€ or CHF 1.50 per person. The MultiPass can only be sold for the duration of your holiday (minimum stay 2 days). The Mossettes chairlift rises up to “Pointe des Mossettes” and provides access to Les Crosets in Switzerland on foot, MTB or by taking Les Crosets chairlift. Guests of all ages will love the Morgins mini golf. Get a glimpse into our region's fascinating history with a guided tour of this meticulously reconstructed water mill. The visit includes the miller's house, a museum of antique tools, a forge, a woodworking exhibition and, of course, the grain mill. The Transport Public du Chablais train line AOMC links the towns of Aigle, Ollon, Monthey & Champéry. This 8-man detachable chairlift was built in 2008, has a 253 m vertical altitude gain and offers a breathtaking view of the Dents du Midi from the arrival point. Come and play tennis on our 8 courts, including 1 volleyball court, in stunning surroundings, whatever your level. The 3-seater chairlift of Morclan is taken at Super-Châtel, at the arrival of the gondola. Its arrival is at 1,970m of altitude and its panorama is to take the breath! The Chaux Fleurie chairlift arrives at Rochasson crest, which is an ideal starting point to explore the Portes du Soleil, with direct access to Chatel (France) and Swiss resorts too. This abbey dominates the village since the 12th century. Come discover an architectural, artistic and religious heritage of great renown. Hop on board the Dents du Midi tourist train for a tour around the village. It's fun and free! Inaugurated in 1987, the iconic red and white Champéry cable car whisks you to a height of 1,962 metres in under 5 minutes. 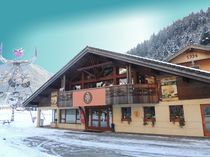 At the arrival point, and the jumping-off point for the ski slopes, you will find a restaurant, snack bar and 360° views from a vast, sunny terrace. Located in the center of the village, the Super-Châtel gondola takes you at an altitude of 1650m. The aquatic area is open all year round and offers three spaces for the family! The iconic outdoor pool at the Palladium is one of Champéry's best-loved spots! Departing from Pre-la-Joux, at 6km from the village center, this chairlift takes you to Plaine-Dranse area. Enjoy the relaxing ambience of FORME D’O, between sport and well-being. Take the cable car...for a lovely walk! Once you arrive up top, there’s a wonderful view of the Dents du Midi to enjoy. There are many walking routes from the top of the cable car, as well as a family MTB circuit called “Graydon via the cable car by MTB”. Dive in to the heated, open air swimming-pool at the Morgins Sports Centre, whilst small children splash in the paddling pool to their heart's delight. 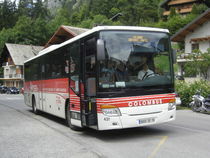 During the holiday periods the Colombus operates throughout the valley between Chevenoz and Châtel . Built in 1994, this 4-man detachable grip chairlift has a vertical altitude gain of 570 metres, leaving from Les Crosets. The summit offers a spectacular 360° view from one of the highest points in the Portes du Soleil and direct access to Avoriaz, Morgins and Champoussin. This 3-man, vintage chairlift has been in continual operation since 1983. The Rochassons chairlift is a 6-seater chairlift that is located in Plaine-Dranse and connects to Avoriaz. One of Champéry's best-loved spots, the Palladium's indoor pool is a semi-olympic sized basin, 25 metres long and 4 lanes wide. Open to the general public and to athletes-in-training, the pool also offers a separate paddling pool just for little ones. The Morgins Sports Centre offers 2 outdoor tennis courts. Channel your inner Roger with a day on the court! The 3 clay tennis courts at the Palladium are an iconic village landmark; tennis has a long history in Champéry, with the original courts dating back to the late 1892!